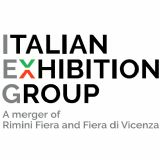 Sia Guest, the International Hospitality Exhibition is the largest negotiation and networking area in Italy for Italian and foreign hotel professionals. It is the only trade fair in Italy exclusively reserved for the hotel sector: at the last event there were over 14.000 hoteliers and 40 hotel chains. These record numbers were achieved partly as Sia Guest was staged at the same time as TTG Incontri, Italy's largest B2B tourism fair and SUN, the top b2b exhibition for the Outdoor World.